Postnatal Delights: 5 Programs Mothers just have to watch! 5 Programs Mothers just have to watch! You know those times when your baby/toddler/child has just quietened in the night, and you have period between this time and bedtime and you are flicking through the channels and nothing is on. Well I have decided to pop up my 5 favourite programs, so you can get recording and use this brief window of time wisely. Feel free to pop anymore below that you think us mothers would enjoy. Season three has just begun and life is good. You will fall in love with EVERY character on this show..... maybe not Laurel and Sarah but mostly EVERY character on this show. You will find all your lesbian tendencies hanging out for Felicity and find shirtless males EVERYWHERE! Even the villains are good looking in this series! It involves a seriously heavy plotline that involves twists at every turn. Basically Oliver Queen, a billionaire spoilt brat, was stuck on an island for 5 years and now he's returned to make amends for his father's selfish actions. As for Stephen Amell (Arrow/Oliver Queen) .......if there is one thing you do after reading this blog, it's follow his facebook page. He just finished raising money for F*CK CANCER, after selling some "arrow" things to raise money for JoJo (a child suffering from cancer) and a family before that. He runs his own facebook page and has the most beautiful family! Romance, swordfights, mystery, the plague, hot frenchman, empowered women. This series has it all! The costumes are beautiful, the characters are beautiful. It's basically centered around the lives and affairs of Mary, Queen of Scots and her time at French court. It's severely unpredictable, which I love, and just really fun to watch. 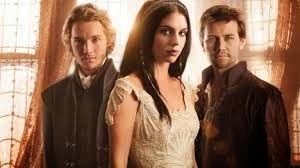 Completely historically incorrect but it makes for an awesome TV show. I thought I would struggle with the plot of this programme, but I can't get over how much I enjoy this show! 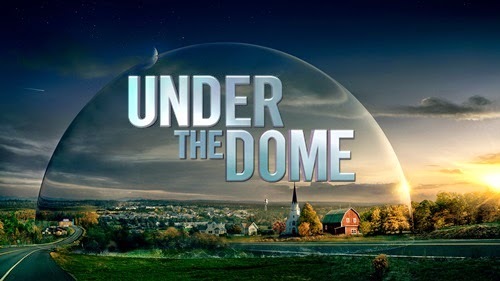 Stick a whole town under a dome and see what happens and so much does. It keeps you guessing with every episode. There isn't heaps of eye candy but enough to get by. Come on, we all know you enjoyed Desperate housewives until about Season 3 when it just got really boring. Well the good looking pool boys and gardeners are back, except it is from the perspective of the help.More scandal, murder, affairs and all those other things that make us appreciate how good and easy our real life relationships are!